Face2Face Noodles in Dixon House changed hands quite some time ago. We find the food is just as good, though make sure you ask for extra spicy. 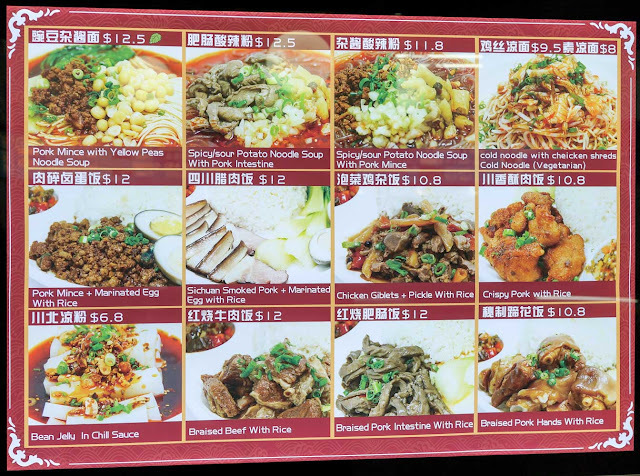 Face2Face Noodles was a pretty schmick operation when it first opened, with uniformed chirpy staff in matching berets, and an Instagram-friendly noodle making display in the front window. It closed down for a while then reopened, we are quite sure with new management. The new owners ditched the uniforms, berets don't belong in food courts anyway, and they don't make a show of the fancy noodle machine anymore, but the food is just as good, just make sure you ask for extra-spicy. It took us three visits to figure this out. Number 1 on the menu is Spicy noodle soup ($9.50). Extra spicy! This style of soup is one of our all time favourite dishes. It's super spicy soup, an oily broth loaded with dried chili, a little Sichuan pepper, garlic, pickled veggies, peanuts and some fresh veggies for colour and heat relief. We get a real high off this dish, we feel a little floaty afterwards. The soup comes with chopsticks but no spoon because you're not supposed to drink the soup. It's all about coating those fantastic, thin, toothsoome noodles with that magical, spicy broth, and slurping it up like spaghetti. You can drink the soup if you want but man, it will tear you a new one. The chili is certainly hot but the heat doesn't linger in your mouth like it does with fresh chili. Pork mince with yellow peas noodle soup - $12.50. A variation of the soup above with a little pork mince and fried (chick?) peas. 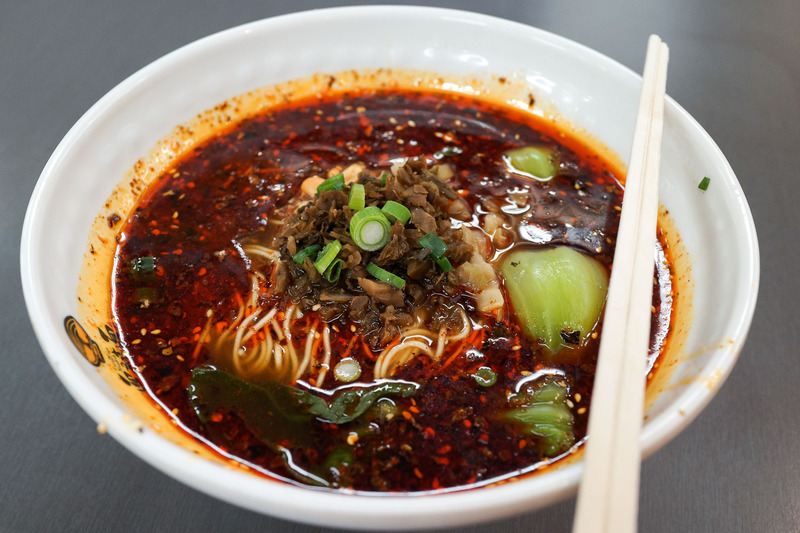 We ordered normal-spicy which is a mistake, extra-spicy at Face2Face is normal spicy in Chongqing, the soup is not quite as magic without that extra flavour and heat intensity. 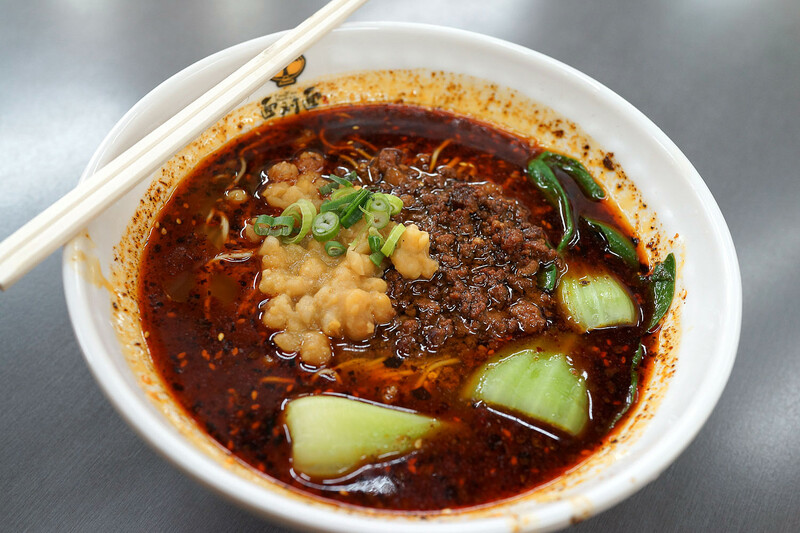 Spicy dry noodle - $9.50. 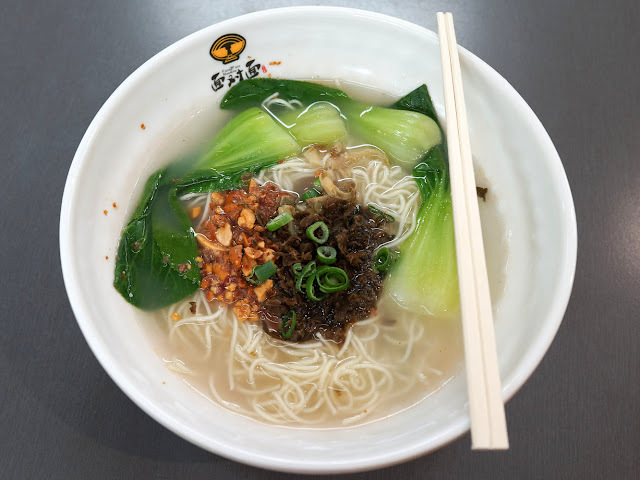 A soup-less Chongqing noodle soup - noodles in a slick of spicy, oily broth with some veg and crunchy peanuts for kicks. Again we forgot to ask for extra-spicy with this one and regretted it, we will come back and try it extra-spicy. We are not the type of folks who order things extra hot for bragging rights, it's just that this style of dish is at it's penultimate best when it is fiery spicy and chili hot. Bone broth noodle soup - $9.80. 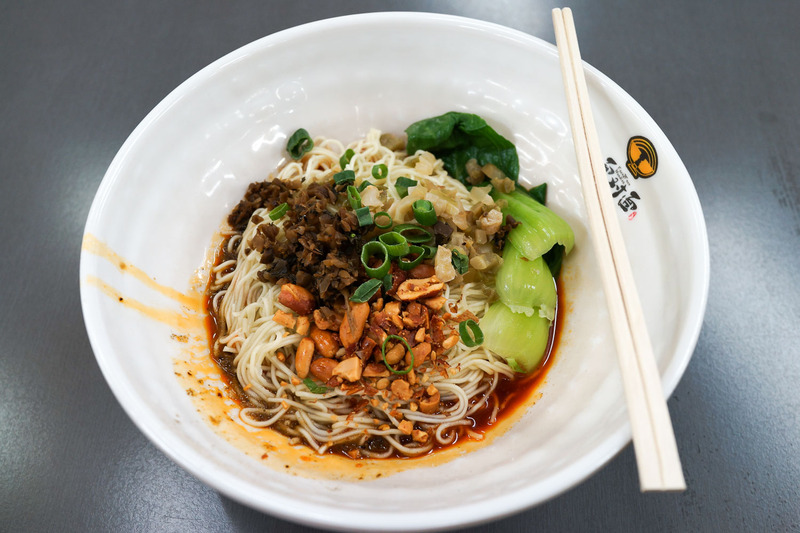 A cloudy, delicate broth with finely cooked toothsome noodles, crunchy peanuts, pickled and fresh veg. This is a subtle and superb noodle soup. Sichuan smoked pork and marinated egg with rice - $12. 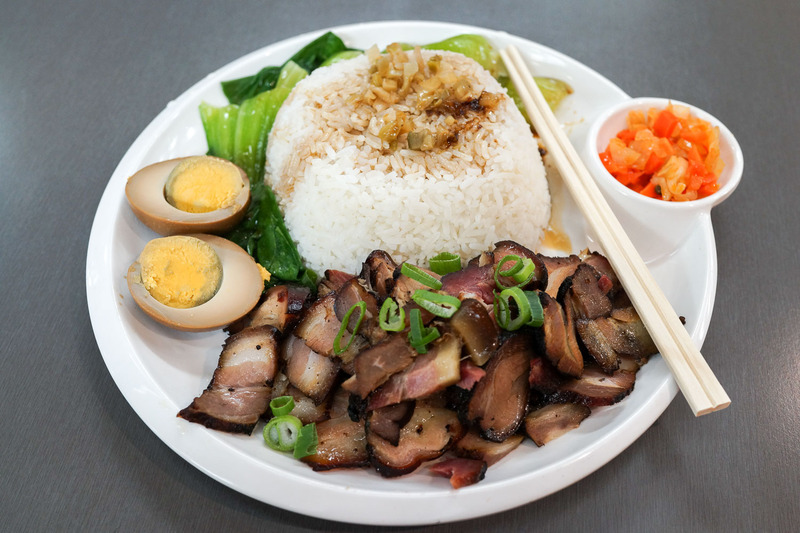 Super smokey preserved pork belly wisely served with tangy preserved veggies (pickled carrot, cabbage, garlic) and steamed greens to counter the richness of the pork and tea egg. The pork has a very strong, salty flavour and it's a large serve - we recommend doggy-bagging half of the pork to stir fry later, would go marvellously with some greens, garlic shoots in particular, or dry fried with some cauliflower and a little Sichuan pepper and roasted chili. 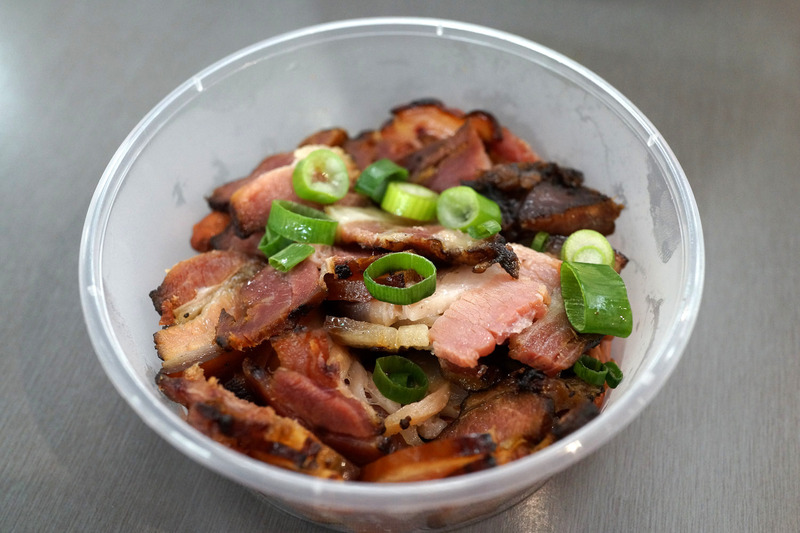 The Sichuan smoked pork is available as a side dish ($6) - we get it takeaway for cooking purposes, a little goes a long way. Mr Google suggests this pork is called larou - the preserved meat we've seen hanging outside apartments, on the side of the road and everywhere meat can hang in the colder parts of China. So we are pretty excited to find it back home. 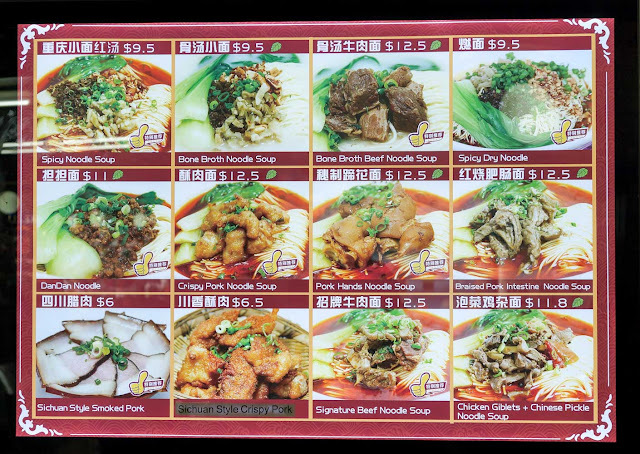 There's a few more dishes we'd like to try, the cold noodles and chicken giblets with pickle in particular. And the dan dan noodles of course. So much to eat, only one stomach. 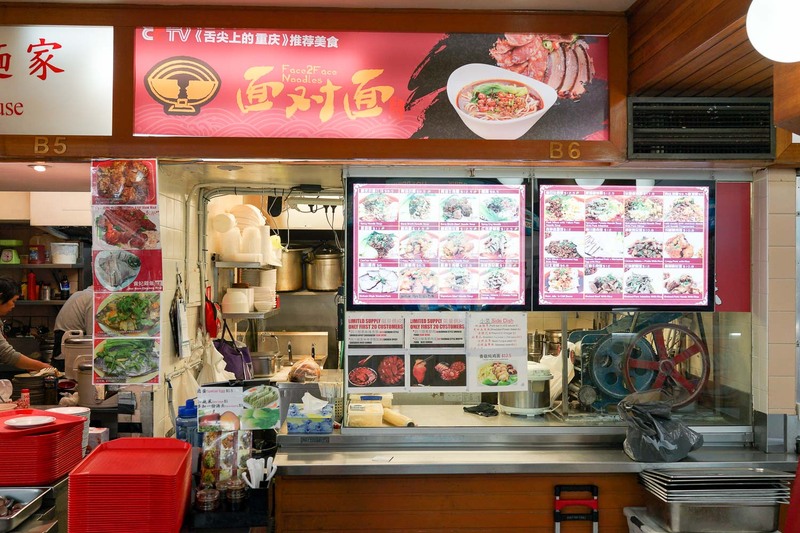 Face 2 Face is in the most glorious Dixon House Food Court, cnr Little Hay and Dixon Street, Chinatown.